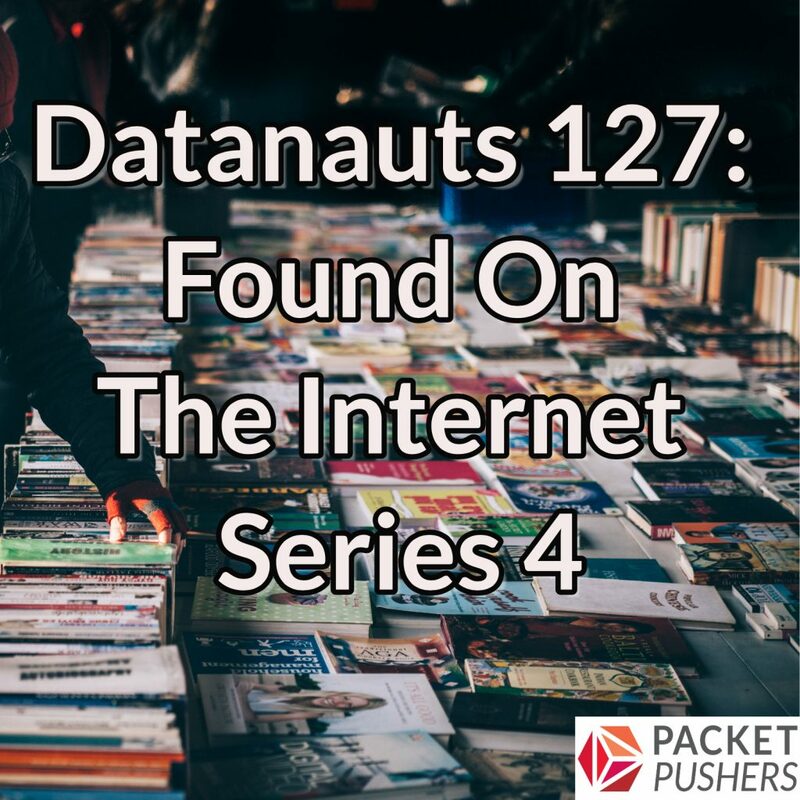 Today on the Datanauts we crack open our cabinet of curiosities to explore a variety of subjects, ideas, and blogs gleaned from the Internet. Topics include Site Reliability Engineering, AWS vs. Azure for your cloud career, the pros and cons of abstraction, and the ups and downs of industry certifications. Check out the show links for more details on everything we discuss. Great show , I totally agree with the saying that placing abstraction on top of a *insert technology here* in order to gain implementation speed, automation, documentation (centralized config mgmt of devices) and perhaps better visibility can be a good thing. It is evident that the future of networking will change one way or another, but for anyone new entering the networking field, I really think that learning the fundamentals of how to configure and troubleshoot L2/L3 protocols the current/old fashioned way should always be left as a priority as devices are being virtualized an protocols abstracted.. because you *will* need to pop that car hood open and know what’s going on at some point. If you strive to understand the technology, and not necessarily memorizing a bunch of commands to pass a certification/exam – your knowledge should be transferable to any networking platform irregardless of the vendor. I particularly liked the example you’ve made with the abstraction of development languages. I remember starting to work with plain old DOS 3.1, no UI, I am glad to have worked at the CLI level, as I still tend to use it day to day to get things done quicker – since it does not change, and is more consistent – just like the linux shell. When it comes to learn automation, or some form of it, like for example working with public clouds such as Azure or AWS, I find it valuable to first learn the UI, learn how manually deploy, update and configure your environment, and then work on automating it in chunks.